Children are remarkably perceptive. Today, the old adage, “Do as I say, not as I do” is being pushed to the proverbial back-burner with parents and educators striving to lead children by example on a journey to lifelong fitness. Our PE team recently witnessed this as we led an assembly at our school called Fitness Time Together. The entire school community including students, faculty, and staff were invited to the gym to participate in a group fitness routine and take part in a discussion about leading a healthy lifestyle. Coach Brian opened the assembly by talking about the importance of being active and eating healthily. 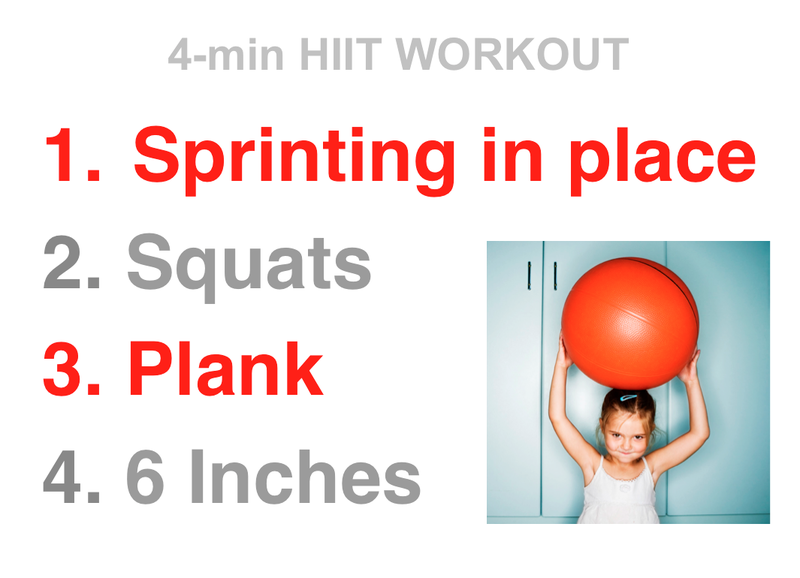 Coach Austin followed with a 4-minute high intensity interval-training workout designed for our students. Picture this: over 700 adults and students all working out together in our gym. An incredible sight! After the workout, it was my turn to close the assembly. I first asked all the adults to raise their hands if they planned to exercise sometime during the day (excluding what we just did). To my delight, practically every adult in the room proudly raised their hand. I then asked the students to raise their hands if their parents exercised. I had just hit the fitness jackpot. A sea of hands immediately reached for the sky. I instructed the students to look around and notice all the hands, emphasizing how many adults in their lives are taking care of themselves by exercising. I especially wanted the students to notice that if all their teachers and their parents are exercising, then it must be important, and that they were most likely exercising to be as healthy as possible for as long as possible. Then it dawned on me during the assembly at my school, that as much as we need to discuss healthy living with kids, it is equally, if not more important, to lead by example. If our children see us exercising regularly and making healthy food choices then they are living in a healthy environment. Within this culture, healthy living will more likely become habit. I recalled my own childhood when my mom refused to buy “sugar cereals” or pop-tarts with frosting. She was constantly reading the labels on everything she bought to ensure we would keep our teeth and grow up to be healthy adults. Now that I have my own children, you’ll never find “sugar cereals” or pop-tarts with frosting in our pantry. Lesson learned mom! At a time when technology has the potential to dominate our day, it is our obligation to encourage children to go outside in the fresh air, and take care of themselves. As PE teachers, my team and I preach fitness and try to keep our program chock full of fresh ideas to help maintain a positive level of motivation. Along with parents, we encourage our students to seize opportunities to simply play. Play outside during recess, join school-wide running programs or teams, and enjoy unstructured play at home. Last week before leaving work, I received a call from my 10-year old. He wanted to know if I would go for a run with him when I got home. Proud Papa Alert! Of course I’ll run with you. Later my older son and daughter wanted to play tennis. So far, mission accomplished. My wife and I lead healthy, active lives, and realize that how our children craft their character and lifestyle is firmly determined by the example we provide. ← A PE Conference at YOUR School? Wisdom Surrounds You! JC, another excellent post. If you are having a hard time getting your kids outside and playing, I suggest going to the park, trail, and/or court prior to arriving home from school. It’s always harder to get kids outside, once they are inside the house. This will force you and your kids to enjoy the great outdoors. Justin, I love this post. My fifth-grader and I have taken up walking every evening after dinner. Our goal is 30 minutes and 2 miles. I cherish this time…just the two of us. I learn so much more about her day, life, hopes, and goals while we walk. Tonight, she asked if we could try for 3 miles. Over and over she asked “Mama, can I talk to you about something?” It’s so important to have the opportunity for free, open communication. It’s a win-win-win. We exercise. We talk. We share. We push each other to do more. We take up challenges together. So far, mission accomplished. Thank you!